You are here: Home > Latest Reviews & Features > Big Benefits of Physical Activity for Kids! Big Benefits of Physical Activity for Kids! The Little Gym : Children are busy, busy little people! Physical activity does so much more than provide children with an outlet for burning their endless supply of energy. Over the years, various studies on child development have been conducted to prove that physical activities for kids helps to increase confidence and self-esteem, reduce symptoms of anxiety and depression, and also helps children perform better in a classroom setting and life in general. Healthy kids benefit emotionally, physically, and cognitively when they’re active and having a good time. The key to encouraging children to get active is to make it fun! Adults might spend more time being active if we took this advice! When children are riding their bike, swimming in a pool, or getting active and playing fitness games at their local The Little Gym, they aren’t seeing it as a workout. They’re seeing the activity as an opportunity to play with their friends and have fun. 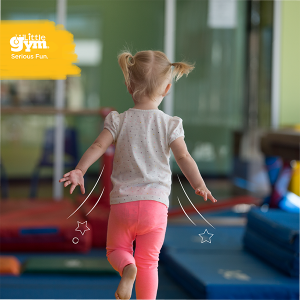 Cardiovascular exercises, strength exercises, and stretching exercises together will help your child build a strong body and mind. Keep reading for more information about how you can incorporate workouts for kids into your family’s weekly routine. Walking, biking, swimming, and running around a field or basketball court are great for strengthening the heart and building endurance. The UK’s government state in their Physical activity guidelines for Early Years (Under 5’s capable of walking) should be physically active daily for at least 180 minutes (3 hours), spread throughout the day and children and young people (aged between 5-12) should engage in moderate to vigorous intensity physical activity for at least 60 minutes and up to several hours every day. Vigorous intensity activities, including those that strengthen muscle and bone, should be incorporated at least three days a week. They also recommend that all children should minimise the amount of time spent being sedentary (being restrained or sitting) for extended periods (except time spent sleeping). Fit this into your family’s schedule with a family football game, a Saturday morning bike ride, a nice long Sunday swim or a lovely walk around where you live or further afield. Even if finding spare time is tough, incorporate ‘sprints’ like racing to the fountain at the park or skipping in the garden. Swinging on the monkey bars at the local park, or fitness games like learning how to do a handstand at The Little Gym, not only strengthens muscles and increases bone density, it also can help with preventing future sports or non-sports related injuries. If you’re struggling with your own workout plan and making the time, invite your children to do press ups or sit ups with you. This is a great opportunity to be a brilliant role model for your children too! Stretching is equally as important as strength and cardiovascular activities. Regular stretching helps to increase flexibility, helping children work on (or master) their splits, cartwheels, and reduces the risk of injury. Have fun with stretching by asking your child to stretch like an animal of their choice – like a cheetah stretching out after a long day running around the jungle or a big tall giraffe stretching high! Finding activities for kids and fitness games is easy! Trying these physical activities for kids can be a fun way to spend time together as a family! Healthy kids are happy kids. If you’re looking for some fun, physical activities for children 10 months through 12 years, check out The Little Gym Wandsworth & Fulham! We offer FREE Introductory classes for all age groups, to see what things we get up to in our gym call us on 0208 874 6567 or request a free trial class.